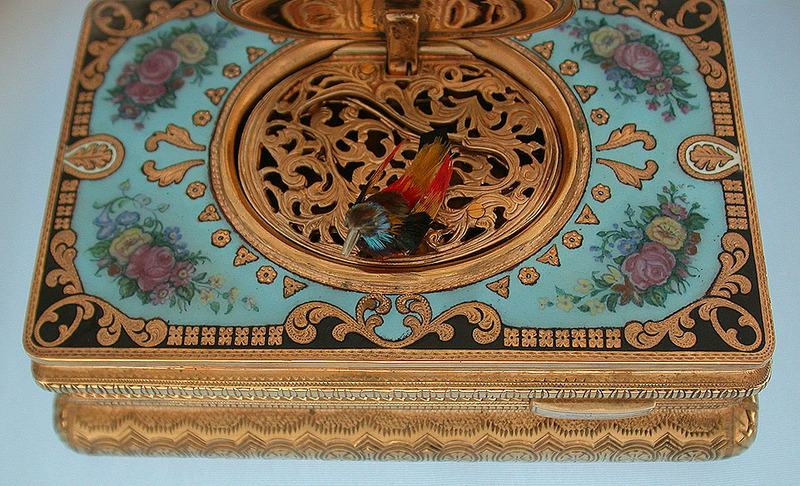 Lovely Griesbaum gilt and enamel singing bird box circa 1980. 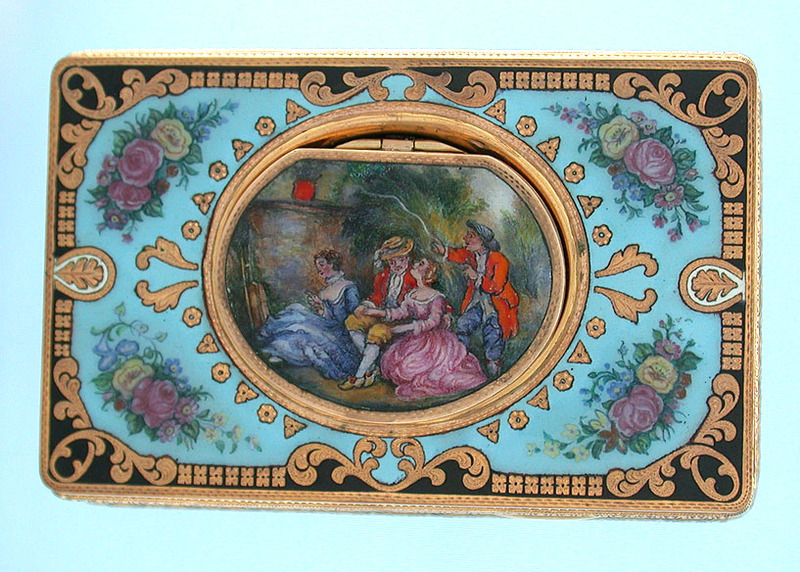 The bombé box engraved overall, the top beautifully enameled, the cover with a courting scene. When the slide is activated the lid opens, the colorful feathered bird pops up and moves from side to side moving its beak, wings and tail in time with the chirps produced by the internal bellows and tuned pipe. Then the bird drops back into the box and the lid closes automatically. 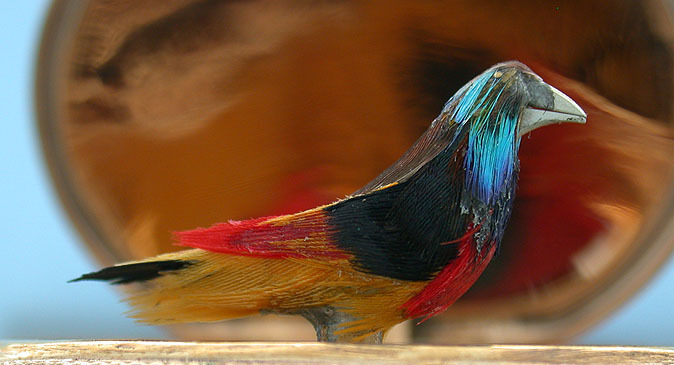 Loud and active multicolor bird. 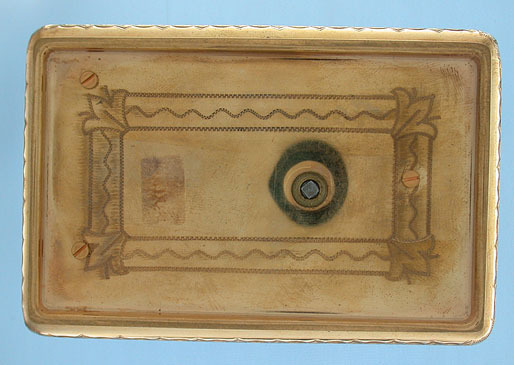 In particularly fine condition throughout.